E-Learning is a platform that is being used for training in the digital era. Many researchers try to identify the different influencing factors that affect E-Learning outcomes. The six (6) important factors, which appear in the literature, included Learner-Learner Interaction, Learner-Instructor Interaction, Learner-Content Interaction, Perceived Ease of Use and Readiness Factors, will be examined in this research. The respondents, numbering 205 pilots of Thai Airways who are using E-Learning for the pilot’s ground school. However, only 200 are valid. The Pearson’s Correlation results showed that all independent and dependent variables have positive relationship with each other. The results of multiple linear regression showed that three significant variables impact on E-Learning outcomes, which are Learner-Learner Interaction, Learner-Content Interaction and Readiness Factors.But three other variables, Learner-Instructor Interaction, Perceived Ease of Use and Computer Self-Efficacy,do not show a significant effect. Contemporary management education aims to equip students with knowledge, skills and competencies to deal with real time business challenges. At present there is considerable interest in how e-learning can be harnessed to enhance the efficacy of management education. Management institutions allocate substantial amount of resources for e-learning systems. Based on extensive literature review this paper identifies the dimensions that contribute to the institutional factor. The objective of this study is to examine the influence of institutional factor on service quality in e-learning and its influence on perceived value by the management students. The framework proposed is tested using structural equation modeling. The model examines the effect of institutional factors on E-S-QUAL sub-dimensions of efficiency, system availability, fulfillment and privacy. Further these E-S-QUAL sub-dimensions influences on perceived value are tested in the context of Indian management education. The main finding of this study is that institutional factors influence e-learning adoption and institutional factors have a direct impact on the service quality dimensions. Further service quality dimensions have a significant impact on perceived value among students using e-learning in management education. Computer and cellular phone based crimes have elevated alarmingly in India. 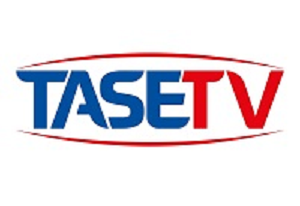 From the unauthorized dissemination, preserving statistics systems secure from tampering and from unauthorized removals are the want of the hour, otherwise, the incidents of hacking, facts theft, cyber bullying and now cyber extortion as nicely has kept the cyber safety team on its feet. For this, a majority of the respondents represents that is 60 percent felt that most effective on occasion the media is giving cyber crime related information. 25% in keeping with cent stated they did not find enough news associated with cyber protection, even as handiest according to 20% had been of the opinion that cyber crime associated information seem in media very often. Of the last 20%, 5% were of the opinion that print media is creating more awareness and 80% stated, it is far the digital media that is growing people more privy to on troubles associated with cyber crime. Quantitative evaluation in the fashion of a survey became instrumental in gathering the statistics that has analyzed by the ANOVA test; Multivariate Tests, Normative evaluation, Structural Equation Model, and Model match assessment. Along with this, measures has analyzed to control cyber crime also have also been mentioned. 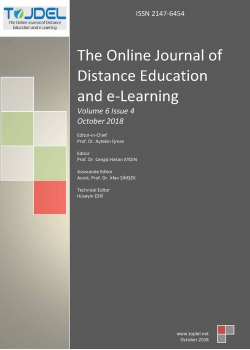 The article presents the results of testing of the distance learning model in the system of lifelong education of primary school teachers, namely the proofs of the effectiveness of the technology of training of distance learning tutors (organizers) of higher education institutions of III-IV accreditation levels and the ways of forming of primary school teachers’ readiness to distance learning in lifelong education. The methodology of the experiment provides for the identification of indices and levels of primary school teachers readiness for distance learning in the system of continuing education. The methods of questioning, interviews, and observations as well as methods of mathematical statistics were used in order to process the obtained data. The analysis of the results of the experiment showed that the majority of respondents reached the highest level of readiness to distance learning in lifelong education. According to the results of statistical processing of the participants’ questionnaires, a significant increase of all parameters of level indicators is stated. researchers into research trends in mobile learning. specialization. The learning management system definitely aids blended learning. other users. This paper proposes a technique to find the type of question that in turn leads to a correct answer. such as Precision, Fetch, F1 Score, Inverse Precision, and Inverse Recall for the appropriate relevant response. ensuring adorable quality of work life to their employees. organizational learning on employee engagement in selected banks of Chennai city.